It got to winter and we needed some winter baby clothes. So, of course I told myself I wouldn't go mad this year. But, a little voice says 'it's B's first Christmas', 'isn't that cute', 'oh, c'mon, Scrooge!'. It's much louder than the other voice that tried to tell me something else (couldn't hear it properly!). So, I looked for some affordable, but quality Christmas and winter clothes. I tried to find things B can wear beyond Christmas, because unlike us, he won't fit into them again next year. It's all interchangeable for boys and girls. If you're savvy you can buy some of these in the sales and get even bigger savings ready for next Christmas. Just click on the links and photos to go directly to them. First up, I did a little shop at Mothercare during the Black Friday/Cyber Monday sales I posted about because they were giving 20% of the Christmas Shop. Then I used the voucher that I got in a lovely Christmas card from Boden towards the hat and mitts, which had 25% off. And finally, I used some of my advantage card points towards the stuff I bought in Boots. Plus, I got some good deals on the Mini Club range. If you haven't joined their Parenting Club, you should. What about delivery? Can I get it free? For everything except the Boden stuff (I got free delivery), I ordered online and collected in store when I was in town. No messing about trying to find what I wanted, pushing a pram, and everything was ready and packed for when I got there! What do they actually look like? If you want to see what they all look like and a bit more info, then they're all on my YouTube post. Video is below, too. Light up Penguin Jumper. It says light up, but it's actually musical, too! I'll be honest, I haven't dared switch on the music whilst B had it on. £9.00 with the 10% discount. Mothercare. This reindeer outfit is adorable. It's now £9.00 (online only) with code NOEL10. Click and collect in store for free, or get it delivered. This will be worn after christmas too as it's so cute and snuggly! I didn't buy this Santa Hat. Big B bought it on impulse! I think there's also a musical version. It's now £4.50. You could definitely wear this all through the winter as it's essentially a red bobble hat! Mothercare bodysuit £4.50. This has had so much wear this week and we even used it for our Christmas card photo. I love it. 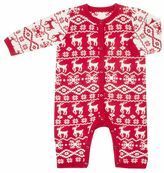 Boots Miniclub baby Unisex Christmas all in one, which I think will come out on Christmas day. It's not bulky, but it is soft and warm, so we can use it in the car seat when we're travelling. £7.50 as it was half price. Boots Fairisle hat (online only) was £4 as I got buy 1 get 1 half price online only on the mini Club range. Usually £8. I bought 6-12 months and it fits well with room to grow. Boots Mini Club Stag Sweat top. I love the Miniclub range as I mentioned in the A is for Autumn/Winter boys' clothes post. If you've been following our Facebook or Instagram feed you'll have seen more stags and reindeer! 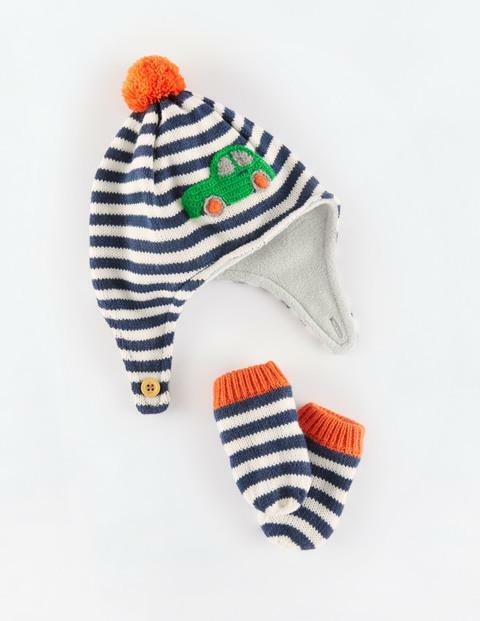 Boden knitted hat and mittens set (6-12 months), was £16.50 with 25%. This should last for quite a while, so we'll get our money's worth. Plus, I love the quality of Boden stuff. It looks great, it's durable and it washes really well. What do you do with the clothes they've outgrown? I'll be posting at some point on what to do with baby's clothes as they outgrow them (sob! ), so make sure you're subscribed here and on my YouTube channel. Have a great Christmas and thanks for all your support!